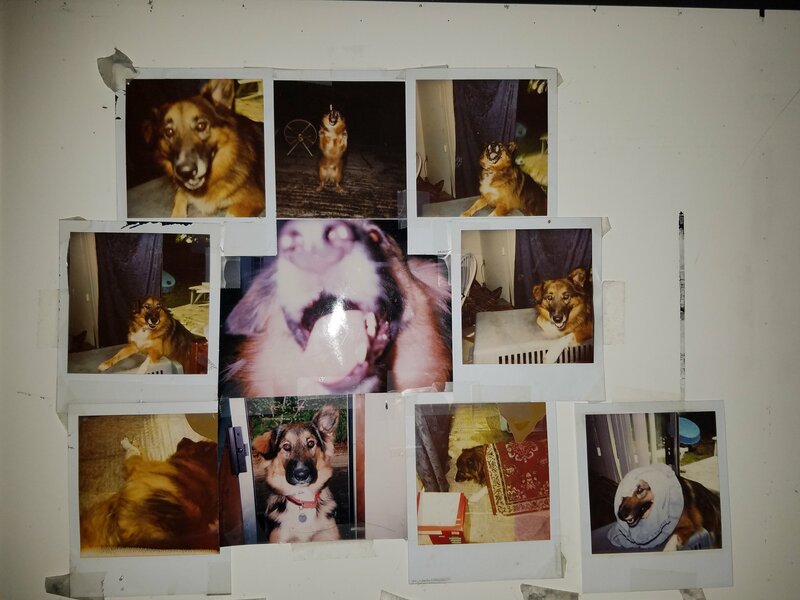 I tarnished the memory of my childhood dog Patrick. What Patrick represents to me is innocence. Those begone carefree summer nights playing videogames, the constant smiles, and silly moments. Patrick really enjoyed being pat on the head, wouldn’t mind being poked on the nose, because he wanted was some attention, and a treat. Patrick would always stare quizzically at me, as though I were some strange creature he’d never seen before, never as a threat. Always trusting. We named Patrick after the holiday and the day we brought him home. We didn’t celebrate the holiday traditionally, so it came to be our day to celebrate him. In 2013, when we met for a family get together and I selfishly went against that memory, it’s like my part of Patrick’s memory died. 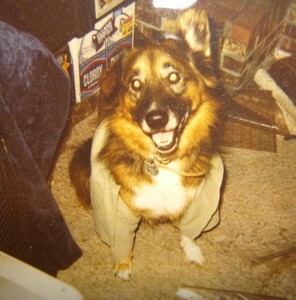 He wasn’t a big deal to anyone outside the family, but for us, he was the glue that held us together. We all loved him so very much. Except on that day. I stopped loving him and those memories. All I wanted was to get wasted. This is where I diverge from the pack. I can’t just casually smoke cannabis. I know the social drinking buzz. I’ve met many people that can do that with cannabis, and when they get stoned, other than being a little spaced out they’re fully functional. Not me. I haven’t been able to properly convey it. For me, it’s like I completely disengage from reality and lose all understanding of it for weeks after. Some of my memories are wiped each time I encounter cannabis. Each time I walk into some lingering cannabis smoke in Pike Place Market or smell the dirt weed someone smuggled into a concert, I lose more memories. It becomes harder to remember Patrick panting to the rhythmic sounds of the main character running around at night in Harvest Moon. Intricate concepts that took hours of study time to understand unravel. Maybe these aren’t my memories to have? They’ll all fade away eventually. Why fight it? Why not embrace all that cannabis has to offer? While, yes, I experienced some benefits with some smoking, such as unlocking thought patterns that may have taken years of meditation or therapy, most of it was for nothing. The creativity I experienced was trivial compared to now. Maybe if I tried a different strand? Maybe I had some bad bud? Maybe it’s different now? I’ve got life figured out better now, right? I don’t want to give it another go. Forgetting more memories of Patrick isn’t worth it to me. Quotes: [1,2,3] Conversation with a recruiter a few months back. Inspirations: Thinking about five years ago while listening to “Room of Angel” on repeat. 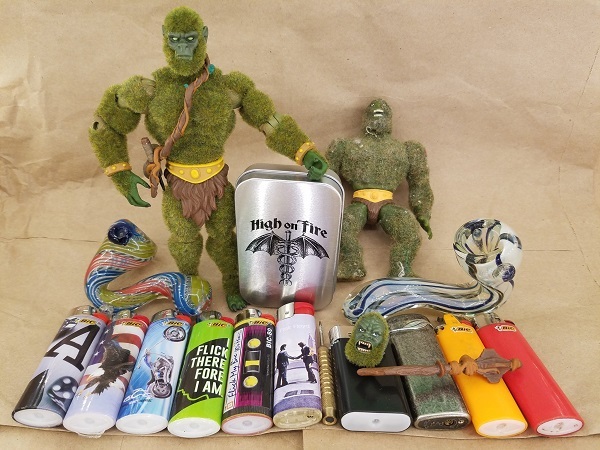 Picture: Above, my lighter collection, a pick for certain purposes, new and old Moss Man, High on Fire tin, and some glass pipes. Below, some photos of Patrick.